Livestock is the peer-reviewed journal providing practical, evidence-based information for large animal and equine vets. Supported by a panel of experts, the journal addresses all aspects of large animal and farm practice, to maintain vets' clinical knowledge. It also helps practitioners stay ahead of their CPD requirements through an online CPD programme, making it an essential reference tool for daily practice. 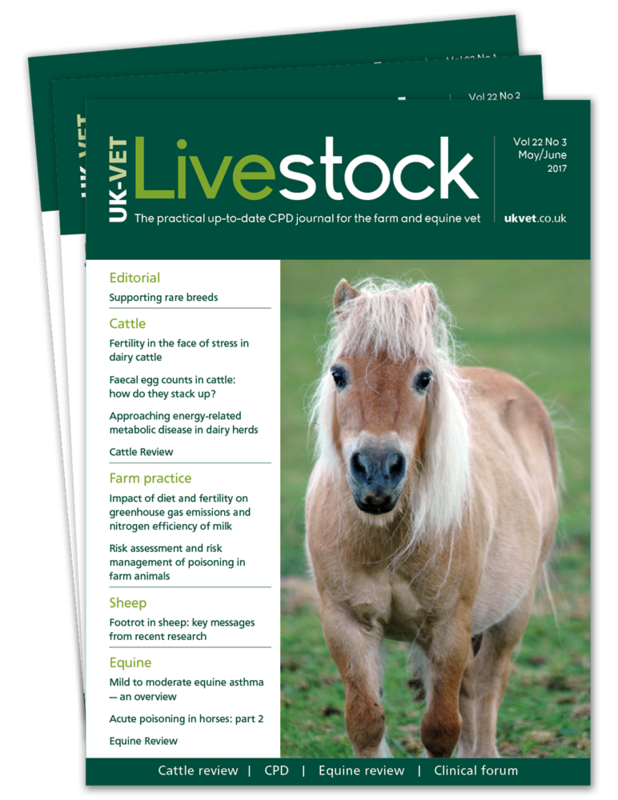 Livestock is the only dedicated journal that covers cattle, sheep, pigs and horses. We commission all articles from expert practitioners to ensure it is relevant to practice and meets readers' professional development requirements. The journal allows busy veterinary surgeons to fit their documented continued learning into their own schedule.. Subscribe now and get your first issue for only £1 - a saving of over over 87% on our normal rate. Try Livestock today and discover how we can help you in practice. We are sure you won't be disappointed - but you can cancel your subscription anytime. *£1 for the first issue of your subscription. Price will revert to standard rate of £24.00 per quarter thereafter. Payment taken by Direct Debit every three months.